In today’s world, the leisure class has been replaced by a new elite. Highly educated and defined by cultural capital rather than income bracket, these individuals earnestly buy organic, carry NPR tote bags, and breast-feed their babies. They care about discreet, inconspicuous consumption—like eating free-range chicken and heirloom tomatoes, wearing organic cotton shirts and TOMS shoes, and listening to the Serial podcast. They use their purchasing power to hire nannies and housekeepers, to cultivate their children’s growth, and to practice yoga and Pilates. 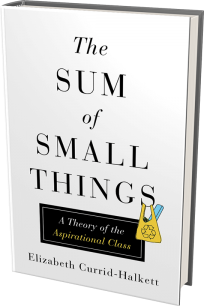 In The Sum of Small Things, Elizabeth Currid-Halkett dubs this segment of society “the aspirational class” and discusses how, through deft decisions about education, health, parenting, and retirement, the aspirational class reproduces wealth and upward mobility, deepening the ever-wider class divide. Exploring the rise of the aspirational class, Currid-Halkett considers how much has changed since the 1899 publication of Thorstein Veblen’s Theory of the Leisure Class and the coining of his famous term “conspicuous consumption”. Now, Currid-Halkett argues, the power of material goods as symbols of social position has diminished due to their accessibility. 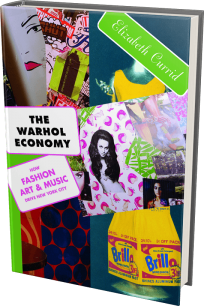 As a result, the aspirational class has altered its consumer habits away from overt materialism to more subtle expenditures that reveal status and knowledge. And these transformations influence how we all make choices.